The Nintendo Wii is an awesome console with a control system that has brought non gamers from all walks of life to play on the console, most notably on games like Wii Sports. The Virtual Console is an emulation and retro gamers dream the ability to play Snes, Nintendo 64, Nes, Genesis and Turbografx games on the console brings a whole new era of gaming to the new console owners of today. The one downside is the cost of the games and the waiting for your favourite game to release, it could take years or forever to see the games you want. Heres where the Emulation Scene comes in. With the release of the SD Homebrew Launcher for Nintendo Wii (Gamecube too) you now have a much easier way to try out games. We cant tell you where to obtain Commercial roms, but we can tell you where to get emulators of the following consoles. The list of systems emulated is impressive and apart from the initial cost of the SD Homebrew Launcher you then have a free and relatively easy to use and reuse Unnofficial Virtual Console for the Wii. Most emulators are as easy to use as putting the dol file on the memory card with a few roms and then your off. So to all you Nintendo Wii Owners who are fed up of waiting for your favourite releases, this Unnoficial Virtual Console is a must. Ooooooh! This looks very interesting...no N64 emulators? I want Smash Bros.
these emulators were released originally on GameCube, that's why there are not Nintendo 64 emulators. An N64 emulator does exist, but its probably wrong to talk about it here seeing as how its illegal. Illegal in the same way Segagen was for Dreamcast. will this work without a modchip? Yes, you can use it without modchip on both gamecube and wii. have i understood it right?, that its only possible to use the emulators with gamecube controllers? not with wiiremote, or classic controller? 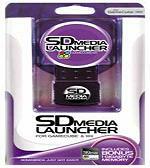 Exactly, no wiimote or classic controller, the sd media launcher pushes the wii into gamecube mode and from there you start, this is sort of a hazzle, because you cannot use wireless, unless you have a separate wavebird controller or a clone. But at least most emulators have some kind of soft reset which pushes the wii back into wii mode, a thing which most cube games do not have at all.